Organic gardening came into being when there was a need to farm and garden organically since there were increasing worries on the use of chemicals. The chemical pesticides were doing damage to the natural environment particularly the DDT pesticide that caused the death of many small animals and birds. There is the management of the soil that includes making of the compost as well as feeding. This allows the soli to be of high quality since the soil structure is not spoiled and also the soil constituents remain at a higher level. 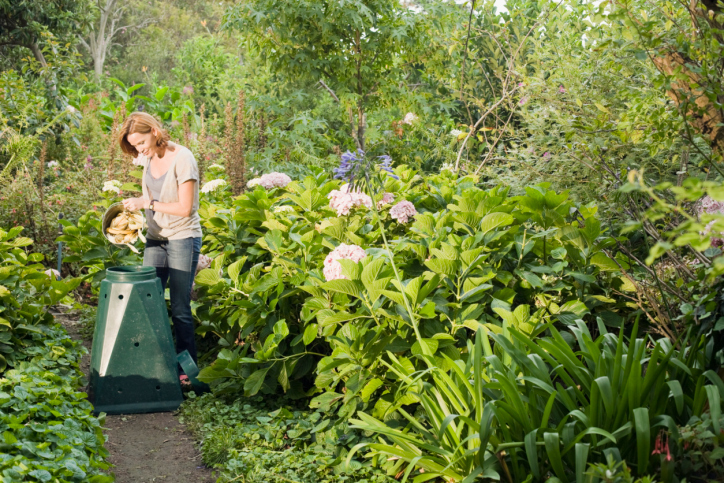 There is water management when it comes to organic gardening and this includes storage, recycling and also a wise use of water in the garden. There are also other water applications that are used to make water to be sustainable in the farm. Organic gardening involves taking care of the plant’s health as well as taking care of diseases that might affect the health of the plants. Most of the methods of organic gardening that are used today can be used in parts of the kitchen gardens, wildlife gardens as well as the ornamental gardens. In order to become a good organic gardener, the first step should be making sufficient and good quality compost for the gardening needs that deserve your needs. In order to achieve this, then you will need to consider an appropriate shady site where at least there are heaps of compost that are adjacent to each other. In each household, the garden produces big masses of organic waste from hedge clippings, grass as well as the shrub pruning. The old plants are replaced with old plants with the new ones and also from the kitchen waste that can be turned out into compost. It’s not always advisable for you to burn organic waste that includes even the sticky and coarser materials as they are very precious materials in the compost. The waste quality is more and far in terms of providing different nutrients in the soil rather than just the potassium that is usually contained in a matter that is burnt or in ash. In order to feed plants organically, then it can be done by use of bone meal that is available locally and by use of homemade liquid feeds that come from the compost, stinging nettles as well as from the comfrey. Liquid teas can be made form the sheep, goat and cow manures but you should avoid manure from the chickens. Water management in organic gardening is one of the most crucial undertakings in this time and age as water has many shortcomings. Heavy mulching with a lot of organic materials is most preferable for soil that is exposed as this greatly reduces the level of water evaporation. This allows you to do plants watering only during the periods that there is extreme dryness and raining has stayed for a longer period of time. Organic gardeners work in the natural world in order to keep their gardens in shape and in ways that it’s very beneficial to the plants and the crops consumers who are involved. This involves a series of considerations in order to make sure one maximizes every aspect of the compost in the garden and there is no waste matter that goes unused in the farm as long as the waste is naturally found in the farm. I can’t say that enjoy the heat we get in our New Brunswick summer but still, I don’t like to see it go. However I do love it when our vegetable garden matures and we can harvest, plus I can never get enough of the autumn colors. We have been vegetable gardening since 2009 but 2012 wins out as our best gardening year to this point. The only thing that held our little veggie garden back is that trees on the east property fence. They keep the sun off our vegetable garden until after 10 am. So without those trees, I am sure we can do a whole lot better. I think with more direct sunlight we would have seen our peppers change color at least a month earlier. Some we had to bring in the house to avoid frost. They changed color indoors but would have looked so cool ripening on the plant. This was our first year growing Blue Hubbard Squash, so we were eager to see how they would do and how they would taste. We cut them free of their vines and left them in the garden for a week or two to allow their skin to get tougher so they would last longer in our basement. I had to give winter squash a try so we kept the smaller one for supper a few days ago and it’s the best squash I’ve ever eaten. Blue Hubbard squash has a very nice taste and texture, well worth the effort it took to chop it up. Next spring I will create a raised be just for winter squash and give them plenty of room to grow, away from the main garden so they will have plenty of room to sprawl across the yard. I don’t care much for winter other than looking at it from indoors. Just can’t take the cold unless I’m so bundled up I can’t move. So instead of trekking outdoors too much I would rather get more books on vegetable gardening and learn how to have a better harvest. Our poor little vegetable garden never had a chance to dry out this spring. It would get to the point it was almost dry enough for me to get in there and turn it over but then it would rain just enough to turn it into mud again. Jenny took Friday off as the weather girls were talking about tropical storm Andrea hitting us by late Friday night or early Saturday and we wanted to get some veggie plant done before it’s too wet again. We like to walk to a little restaurant just up Mountain road for our Saturday morning breakfast so we went Friday morning instead because it was supposed to be heavy rains and winds by Saturday morning. We were back home to start working in the yard before 8 am. I started in the veggie garden first thing. Using my garden fork I was able to turn the top 8 inches of soil fairly easy but it was wet and heavy so I couldn’t work long before I needed to take a break but I had it started. I had to walk softly so that I didn’t sink into the garden so what I did was turn the first row and then raked it level. Using my round mouth shovel I dug the holes I was going to plant my tomatoes in and put it in a big bucket where I mixed in some fertilizer and crushed eggs shells. I mixed it well and used it while I was planting each tomato plant. Even though it was hard going it was pretty easy to dig up compared to previous years. But by the end of each row, I had to take a break and a picture of my progress. I got three rows turned and planted with a few varieties of tomatoes but that was it for me. I was worn right out and a bit depressed because I knew that the rain would start soon and I wouldn’t get anything else done until next week. I didn’t sleep much Friday night hoping I would wake up to find the rain had not started yet or that Andrea moved out into the Atlantic and was no longer a threat. I think it was just before 5 am when I got up and looked out the window. It was raining hard already and I knew I wasn’t going to get my garden planting finished this weekend. Instantly bummed out I just pulled the curtains and went back to bed again. My vegetable garden was filled with water and just kept getting deeper as the day rained on and on. 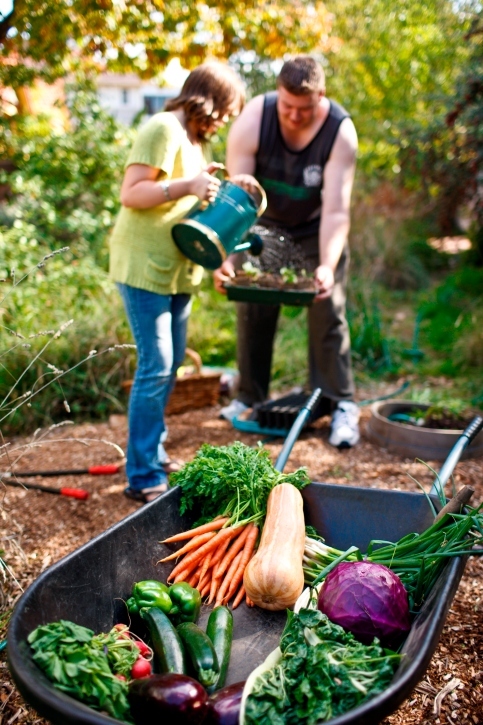 Usually, when someone loves to garden, it means that he or she will need some land in order to grow things. However, everyone doesn’t have that option. When people live in apartments or other small spaces, they need alternatives to outside land. One of these options is that of doing some indoor gardening or using a balcony or patio as an indoor greenhouse. These greenhouses are smaller cousins of the large commercial ones you see in backyards and at nurseries. They use the same basic principles as all greenhouses with the difference being that they’re small enough to set on a counter. A very important factor in all greenhouses no matter what the size is humidity. This is needed to start seedlings growing and making it into maturity. All you need is a clear, removable cover that will keep in the moisture and keep it from evaporating. The seedlings need this humid environment to be kept moist all the time. It’s important because if a seed gets totally dry once it’s begun to grow, it will die. Generally, an indoor greenhouse will have plenty of pockets in the base to plant each seed. Put your preferred soil into these pockets or fill them with peat pellets that will expand when they’re watered. Usually, 2 to 3 seeds are placed into each of the pockets. Once they start to grow, weed out all of the weakest ones and leave the strongest. Some indoor greenhouses have a duct system under the pockets that will evenly distribute the water. This eliminates the need to add water to each individual pocket. When the seedlings have grown to several inches high, you can remove the clear cover to prepare them for going outdoors. If you live in an apartment, you’ll probably be putting them in a pot or trough on your balcony or patio. Indoor greenhouses prosper when put close to a windowsill or other outside light source. They can even be put outside when it’s warm. Whether your completely new to landscaping or a professional in the field, it is often great to know some of the latest trends coming out each year. Understanding the elements of landscaping will help you to understand this, with shape and colour being the most important elements of landscaping it seems as we head into the summer of 2014. Networks of landscapers will often take pride in what they do and share photos around the web of their work as with renown UK landscapers at Simple Landscaping, especially when it comes to garden design, recently we have seen a huge increase in some of the new lawn techniques. One of these consists of native plants being laid out to replace lawns, giving a really wild and chaotic but at the same time natural appearance. Garden design trends fizzling out include water hog lawns and basic planting with limited colour. With replacing the lawn with a variety of wild looking plants, landscapers then can use paving to make walkways around the garden as the disadvantages comes with having a walking area. If you are going to put time and energy into your landscape this summer than it’s worth establishing the goals of your garden before spending any money. Look to see if your outdoor area would benefit from a wild look or more of a paving and sitting area for friends and family in the summer. Cobble tech paving is becoming increasingly popular in modern landscaping. It offers a simple and affordable way of paving your sitting area in a modern look. Professional pavers can advise on these materials, they will often tell you about their durability and long-lasting finish. Identify the area in which you will sit. If you have a smaller area, you will be at a disadvantage since it is difficult to find a good vocal point. Especially, when you are having a small baby in your house, refer for any tips to parenting alarm. Often this problem can be tackled with a good range of garden art, made famous by many landscapers last year. Sometimes simplicity can be the key in getting the best sitting area with your landscape, you will also want to bare in mind the space to accommodate enough guests and this does not want to be taken up by planting and other features. Planting many plants such as shrubs and perennials might help with your aestics within your back garden. These should be considered as a visual aspect to make you feel better and to stun visitors with their beauty, this will restrict your sitting area but give you something to focus on during the summers months.